Welcome to another release week. I am extremely excited for this release for this month as I love fall colors and pumpkins. Especially my pumpkin spice lattes!!! Fall is so fun! 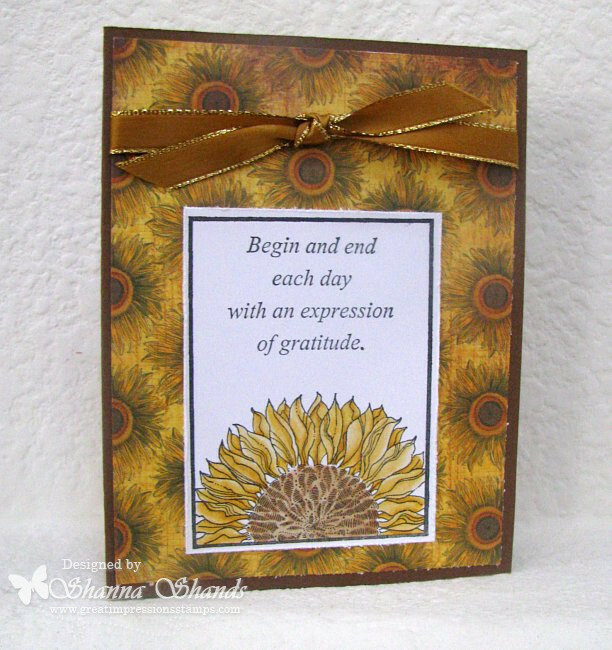 I colored the sunflower with copics and then embellished the card with a gold ribbon. 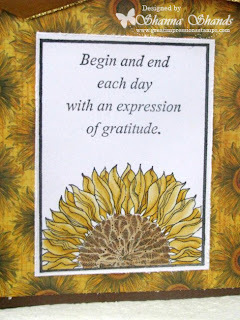 I also used some sunflower paper from Bo Bunny's fall collection from last year. Here is a close up. I really love this card and how it turned out. 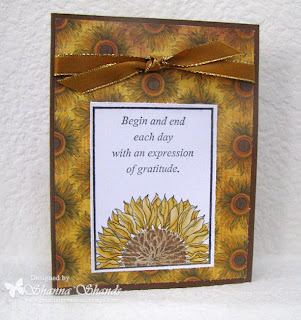 That sunflower is quite the gorgeous stamp, too -- plenty of detail! You did such an awesome job of matching the colors in your background paper. Lovely! Lovely Shanna! Fall is definitely here! Lovely card. 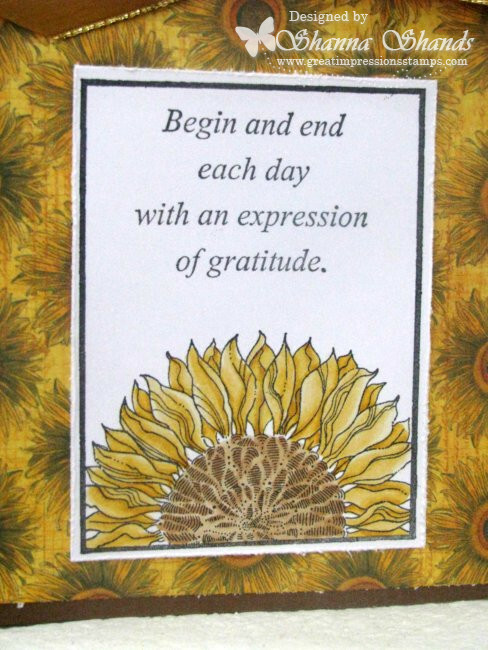 I love both the new sentiment and the sunflower. Thanks for sharing. Beautiful card. I love sunflowers. I'll be back for this stamp.